Mark’s brother Matt planned this whole trip. 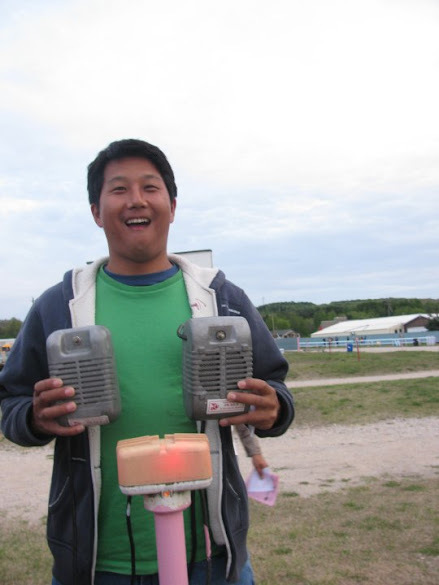 Matt is a hunter/ fisher/ camper. 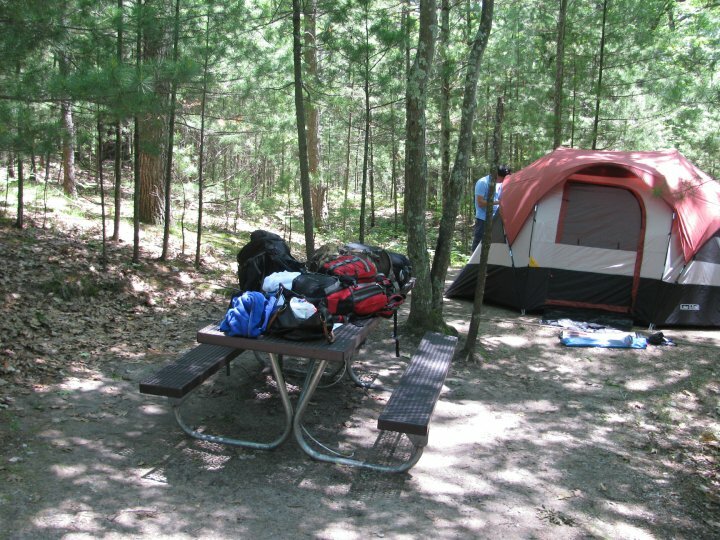 Although Mark and I go camping more often than Matt does, he is a more hard-core man-of-the-land type camper. But I outsmarted him in fire making. …Well actually I cheated. 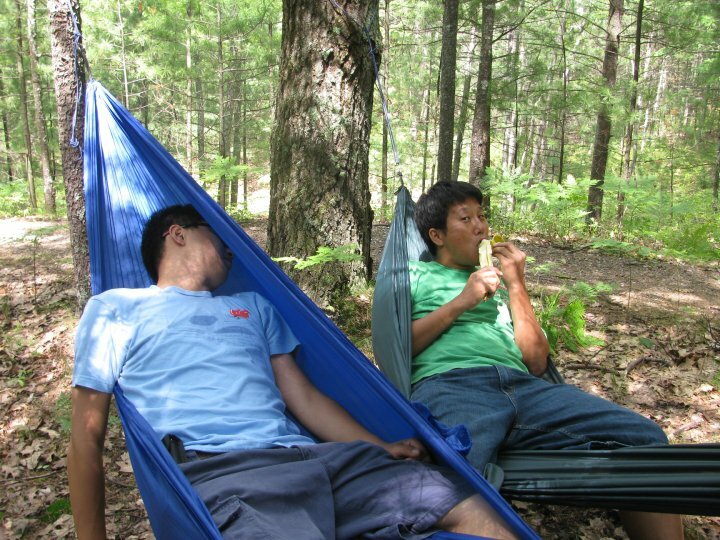 Mark and Matt had just finished pitching the tents and were starting on making a fire. 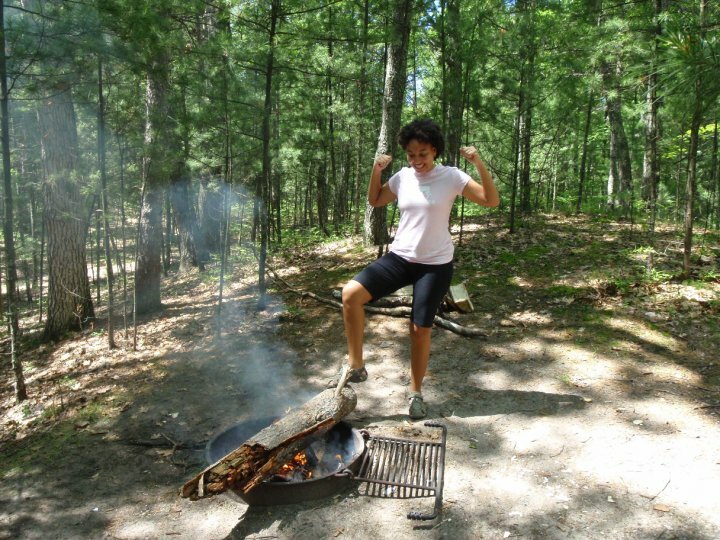 Mark and I brought with us a brand new piece of flint so we could make fire, Survivor style. Matt gathered kindling and sticks that he hoped would be ignited with a strike of the flint. Matt couldn’t get the fire started, so he went off into the woods to look for some dryer kindling. I looked at the flint and the packaging it came in and thought I would give it a try. I tore up the cardboard and scraped a knife across the flint. The fire started in three strokes. Okay. So my method would never work on Survivor. And I still don’t know if I could actually start a fire if I was on a deserted island all by myself. But I know that could, theoretically. Matt had friends who lived in the area and we were able to borrow a canoe from them. We rowed down a little river that emptied into Lake Michigan. While Mark and I got into a good rowing rhythm, Matt cast his line. Not long afterward he caught a fish. Happy with his fish, he offered to lend Mark and me his rod. I took him up on his offer first. I tortured a little worm with the hook and tossed the line into the water. 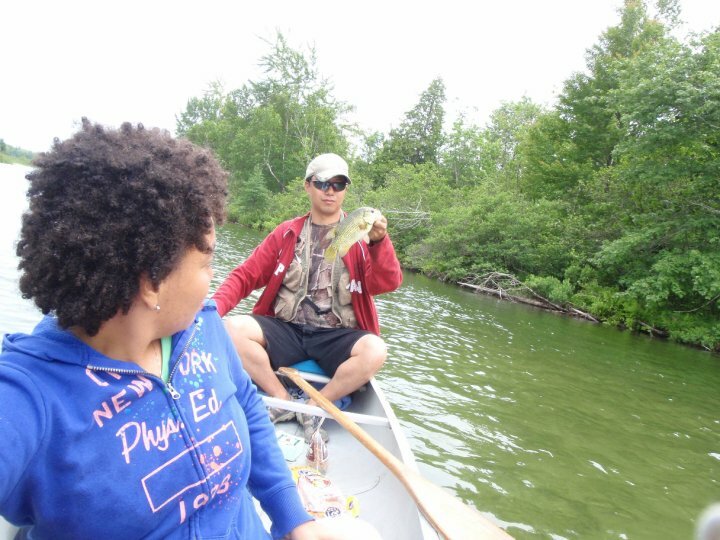 I was more concerned with not getting the line caught on anything than with getting a fish. When I felt a slight tug on the line I assumed that the line was snagged on some drift wood. But as I pulled in the line, I noticed that the “drift wood” was wiggling. Matt helped me to reel in the fish. 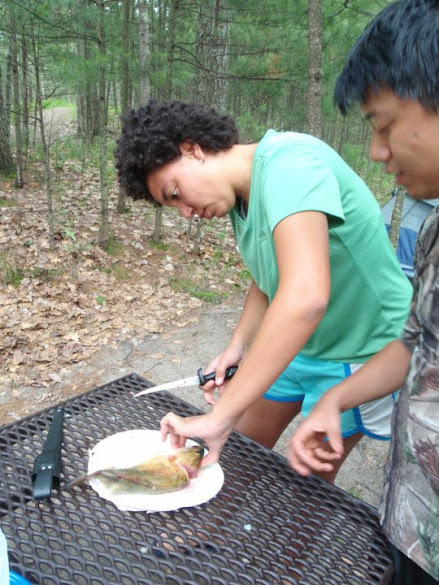 Then he showed me how to fillet and cook it. 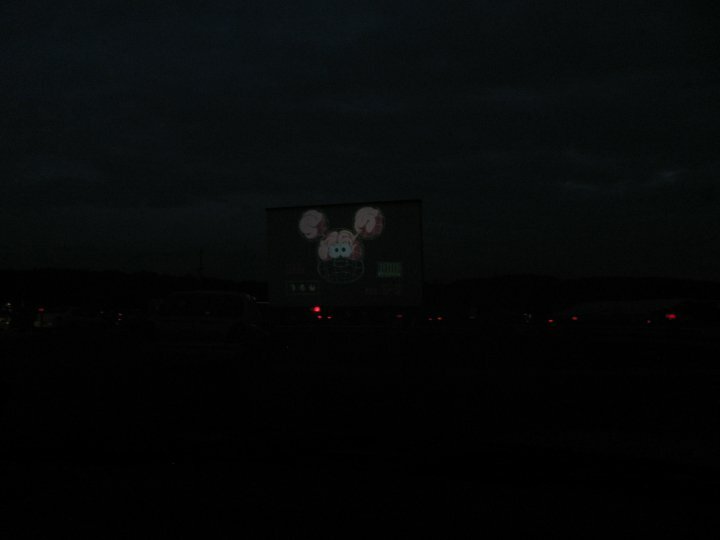 One of the things that I’ve always wanted to do was to go to a drive in movie theater. But, they have mostly died out in the US. 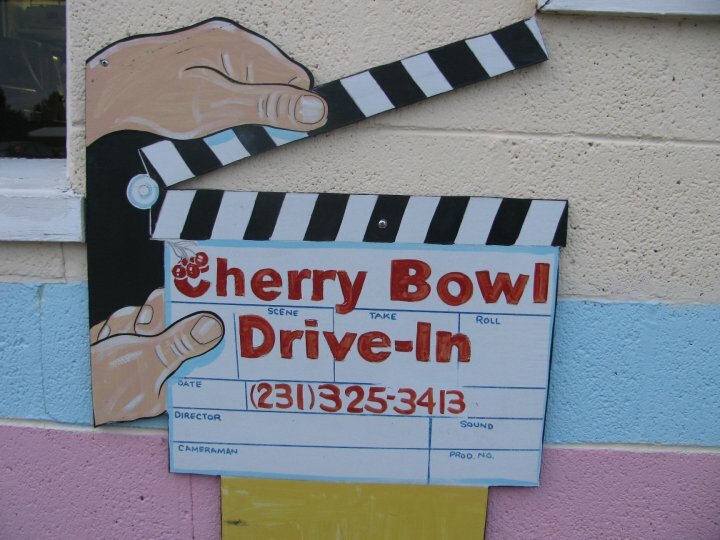 The Cherry Bowl Drive-in had a very nostalgic feeling to it. Wikipedia used to have a list of the ones that are still in operation around the world, but that died too. We played putt-putt before watching The Karate Kid. It was a double feature with Iron Man 2, but I fell asleep in the car before the second movie even started. I really enjoyed the experience. I just hope that there are still drive in Theaters in the states when ever I decide to move back home. I would go just about every weekend! 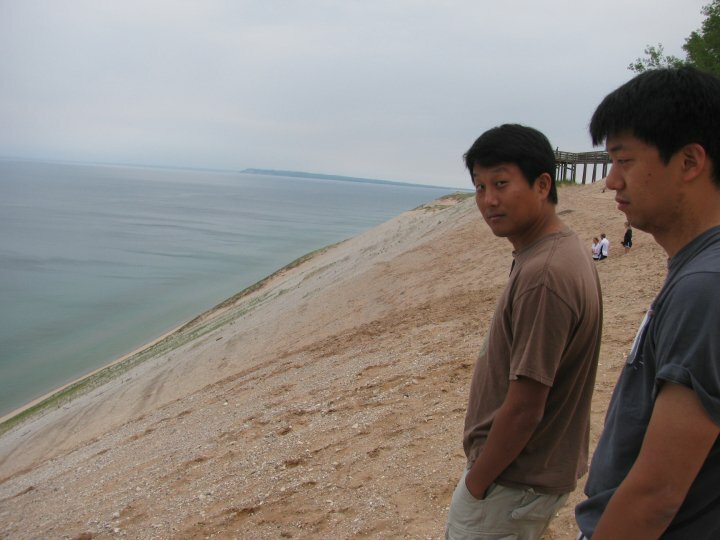 On our last day we stopped by the Sleeping Bear Dunes before heading back to Flint. Matt drove us to the highest dune and challenged us to walk down. 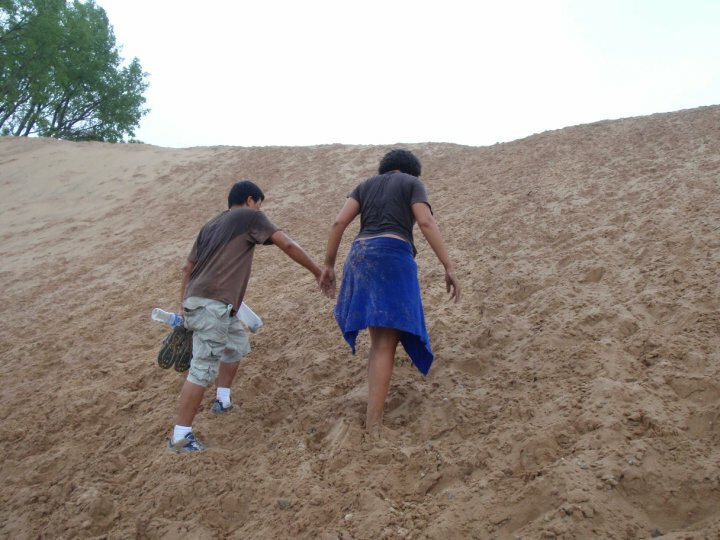 Going down the dune was quite easy. You almost slide down with the occasional step. As we passed the college kids still close to the bottom, they warned us that we would regret coming down. Their eyes were dead with exhaustion. The water was really cold, yet clear. But no matter how beautiful the water appeared, the thought of climbing back up the dune made me fear my future. We were lucky that Matt made sure that we all brought water down with us. I had to take many breaks up the sand hill. For every step I took I would slide backwards half a step. No exaggeration here! 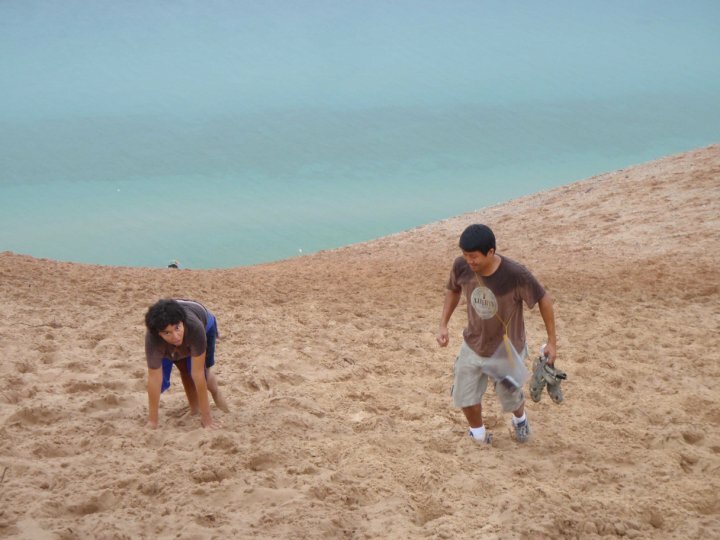 I was dead tired by the time we made it back to the top of the dune. They should make this sign bigger and with more exclamation points. 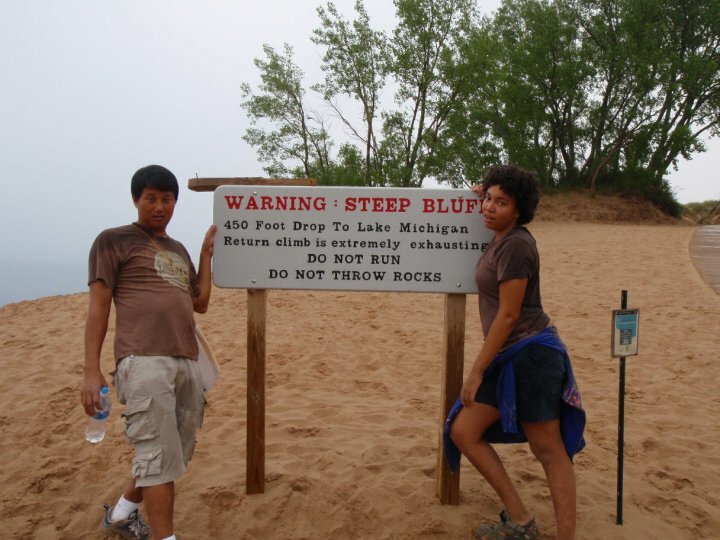 That sign is not a lie. You can enter my country by land, air, or sea. But I think flight would be your transportation method of choice. I have no clue how to get a visa to the US or who needs one. Just assume that you need one if you are not American or Canadian and check with your local US embassy. ‡: Are US Military Bases and Embassies American Soil? Where Does the $ Sign Come From? It’s a big country. You’re going to need a car. 12-40USD depending on the amenities required. Closed only on Thanksgiving, Christmas, and New Year’s Day. There is a 19 hole put-put course right next to the theater. It’s not that great of a mini-golf course, but it’s only 3 bucks and you can kill some time while you wait for the movie to start. 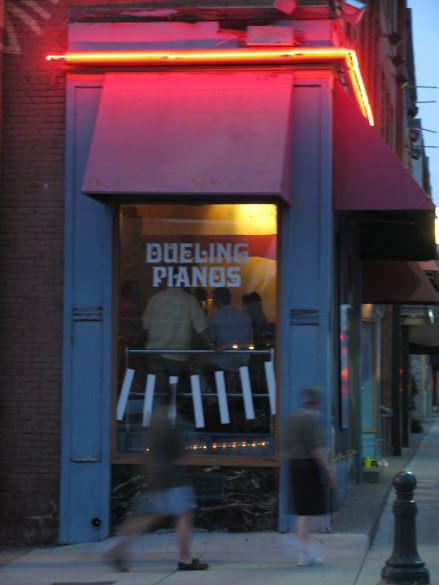 There is also a place next door that sells sandwiches, pizza, and desserts. 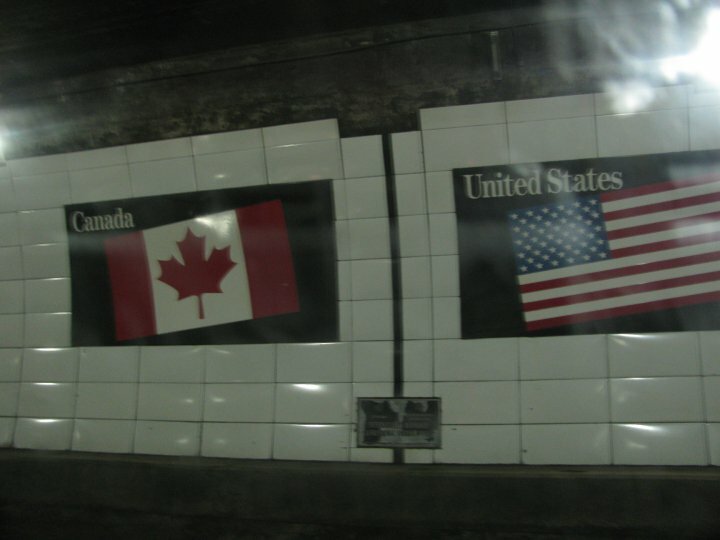 It’s not everyday that you can just go to another country for breakfast and head back to your home country once the meal is finished… unless you live on the US/ Canadian border. Even more unique is to head south from the US and end up in Canada. But that is the miracle that is Detroit. I don’t remember if the Canadian border guard even looked at our passports. They asked us our nationality and where we were heading. They were more concern about our bringing fruit into Canada than matching up IDs. Re-entering the US took a long time though. There was a 10 minute question and answer session, a thorough check of our passports, and some friendly conversation before we were let back in. Ironically, from our little chat with the border guard, I found out he did not own a passport himself. Canada looks bazaarly just like the US. Sorry Canadians. I know you work so hard to set yourselves apart. But after we put an American quarter into a parking meter and it gave us 15 minutes of parking time, I just didn’t feel like I was “abroad”. After breakfast, Mark’s brother, Matt, gave us a tour of Detroit. 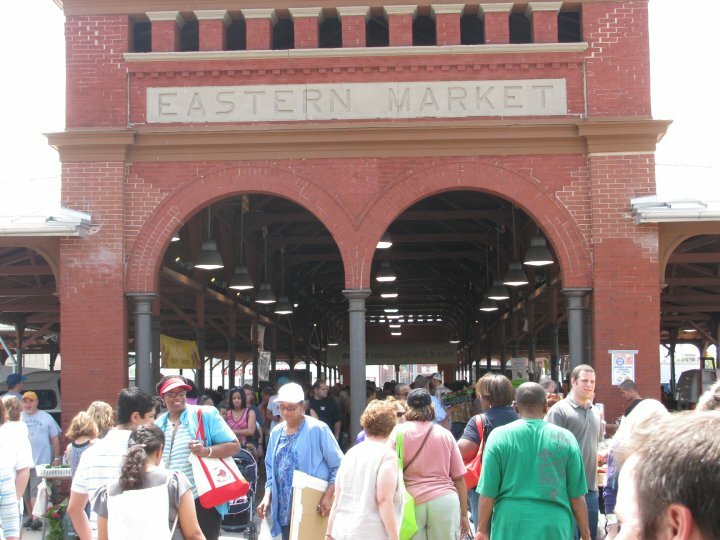 Our first stop was at the Eastern Market to get some goodies for our camping trip. 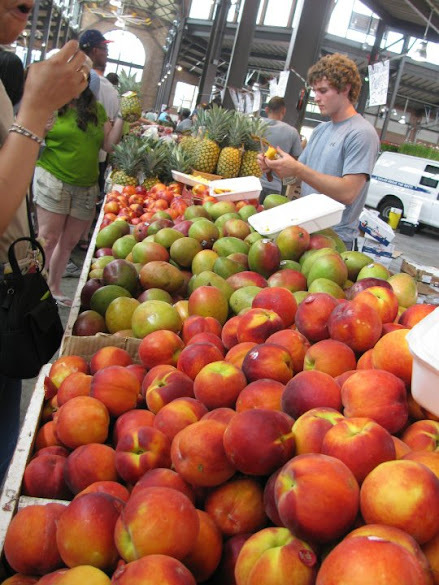 The Eastern Market is a parade of fresh fruits, vegetables, plants, and flowers. Most of the produce are grown in Michigan; some even grown right in Detroit. In fact, there is a push to tear down some of the old burnt out abandoned buildings downtown and replace them with little farms. The next stop on Matt’s tour was Bella Isle. 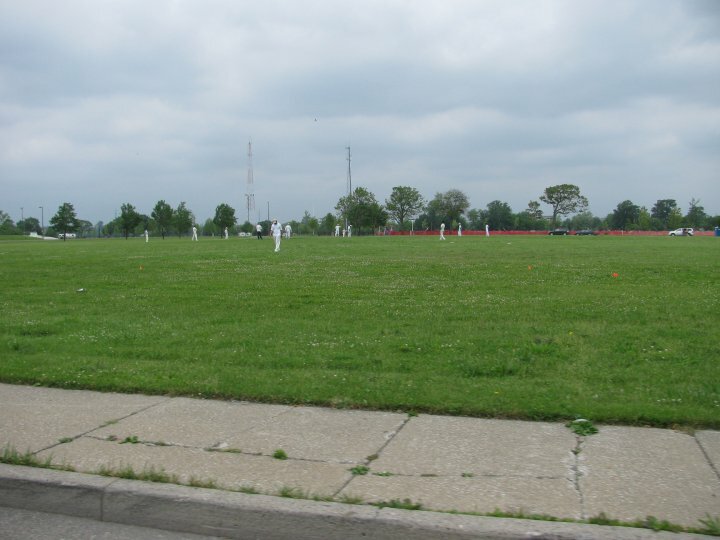 It’s a great place to watch or play a game of cricket, have a picnic or bar-B-Q, go swimming, or just go for a run. Mark and I wanted to swim, but we didn’t have swimsuits. 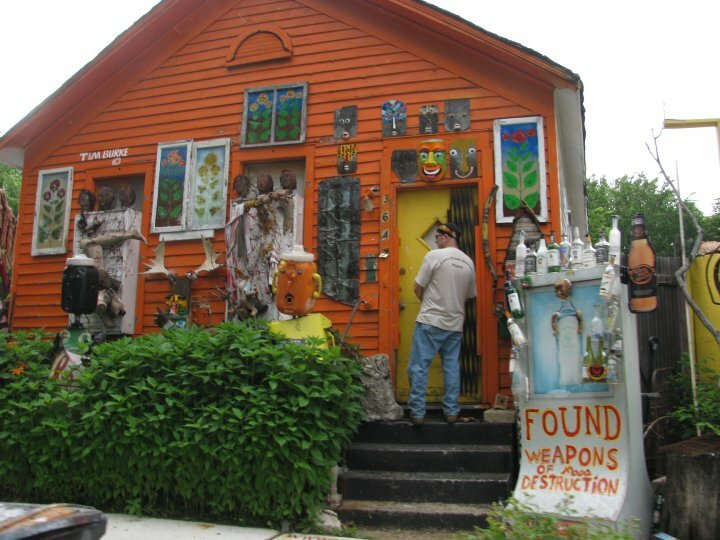 Then we went to see some socially aware art in Detroit. 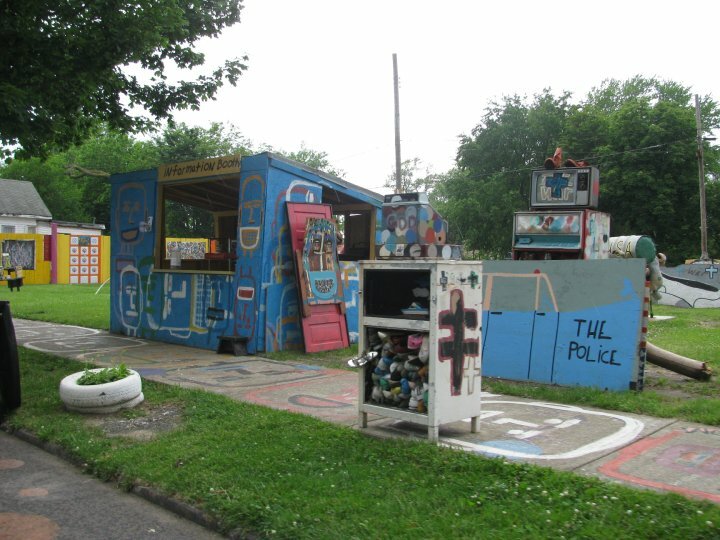 The Heidelberg Project started as a veteran’s protest of the decline of his neighborhood. It is now a protest against the war, America’s oil dependence, drugs, and apathy towards the environment. You can walk around most of the art. But there are some houses included in the project in which people live. You can view the outside of the homes, but you should stay off the property unless invited. 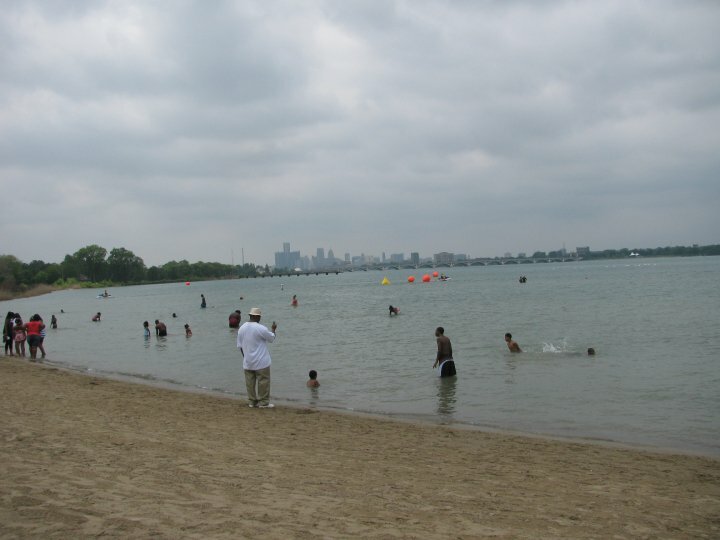 The end of our time in Detroit was actually in Pontiac, another city in Michigan. 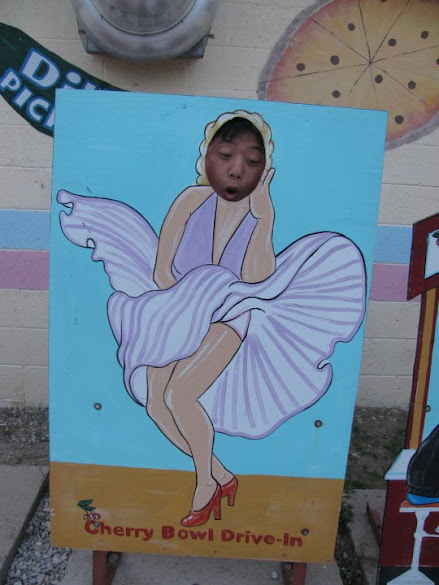 JD’s Key Club is a favorite spot of Mark and his friends. 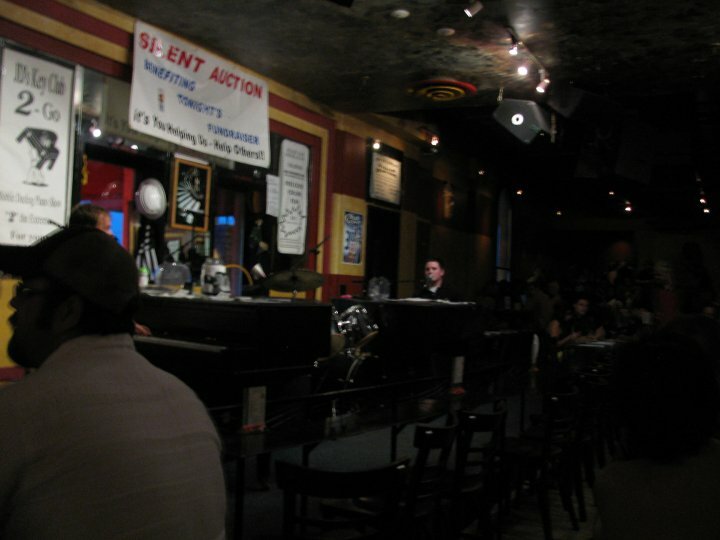 JDKC is a place where two or three guys sing songs by paid request and urge the audience to join in. For some extra bucks they will serenade your friend with a dirty version of a song that seems to fit the occasion. According to Matt, because the singers and the patrons are a little older, late 30’s early 40’s, they don’t do many recent pop songs. There were requests for Lady GaGa’s Poker Face that were completely ignored. After living in Korea where I paid good money to sing the latest pop songs with my friends, it seemed odd to pay to have someone else do the singing. You can enter Canada by land, air, or sea. But you’ll probably fly in unless you live near the border. 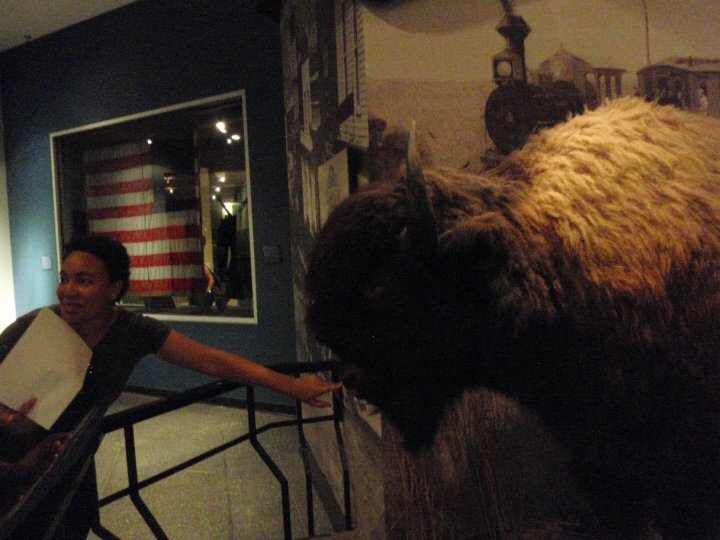 Go to the US and head north. Well, sometimes you will need to head south. 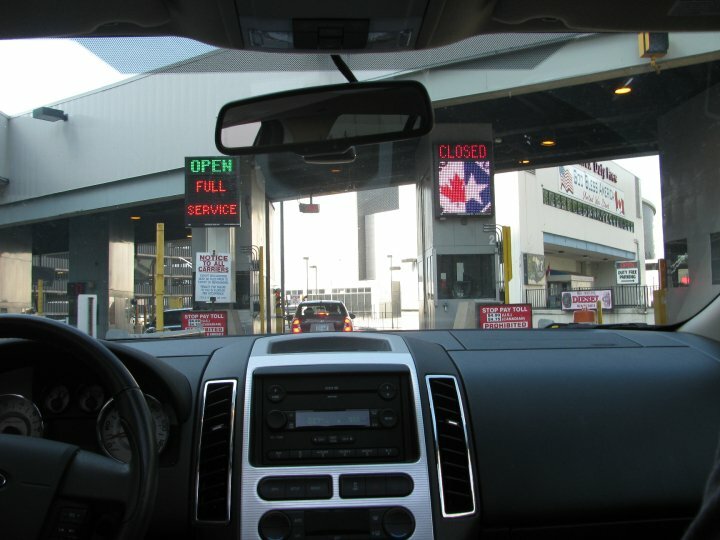 Technically, you need one of these documents or just a passport to get into Canada, but in actuality the Canadian border control doesn’t always check them. You will need one to re-enter the US. The US border control does a thorough check on each and everyone coming into the country. Be prepared to wait in a long line to get back into the US. You are not allowed to carry fruit from one country into the other. Go to Detroit, Michigan and head south through the tunnel. The tunnel is always open, through it does have heavier traffic at rush hours. No motorbikes or scooters are allowed in the tunnel. 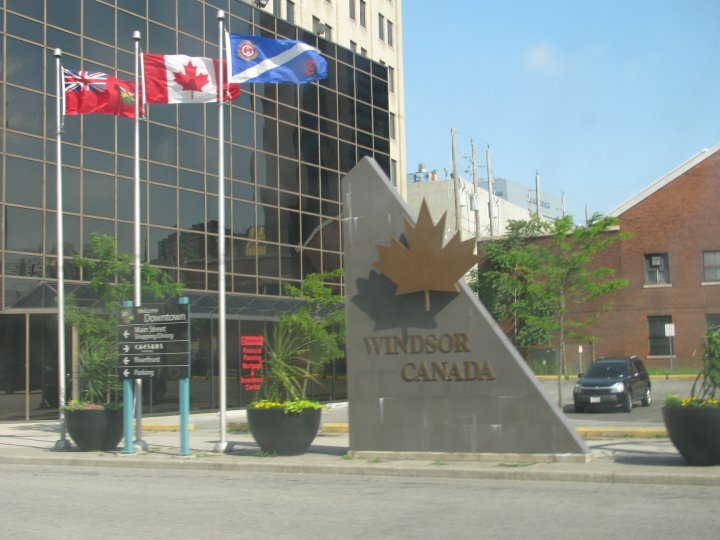 Windsor is one of the many Greyhound stops in Canada. 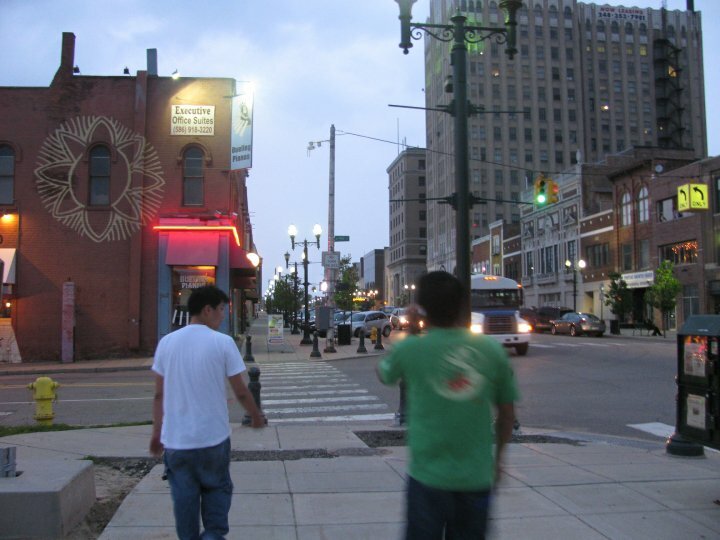 The Eastern Market is about 1.6km northeast of downtown Detroit, surrounded by Winder street, Riopelle street, Wilkins street, and Russell street. You can get to it by going on I-75 and getting off at the Chrysler Freeway. Check the link above for more details. Take East Grand Blvd to the island. Access to the island is always available, but some of the facilities may close. People live in some of the houses. Be careful not to trespass on private property. According to Wikitravel.org you can take the Amtrak from Chicago to Pontiac. The trip takes 5 to 6 hours and costs $25-$50 with the weekend special. You can buy a weekend special ticket only between Tuesdays and Fridays. What’s there to do in Pontiac? The more you pay the more likely the song you request will be played. If they hate your song, they will not play it, unless you tip very, very well. 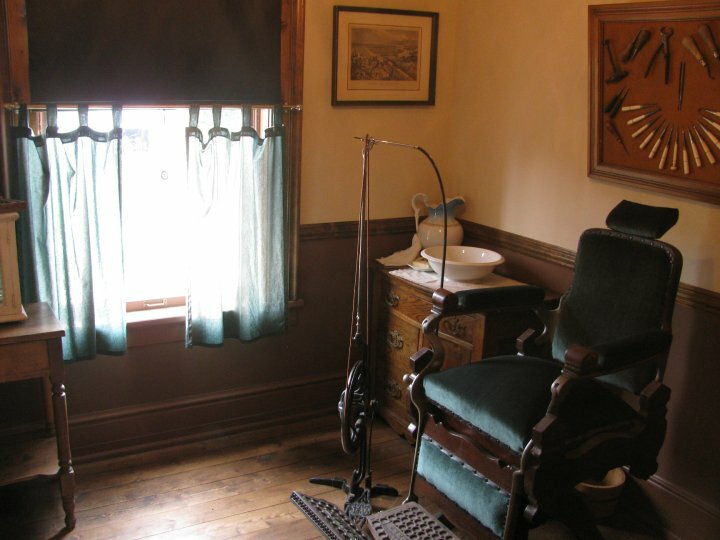 Would you like to get your tooth pulled in an old-timey way? What’s there to do in Flint? How is this possible? How can you have a city with living people and have nothing to do there other than going to bars? 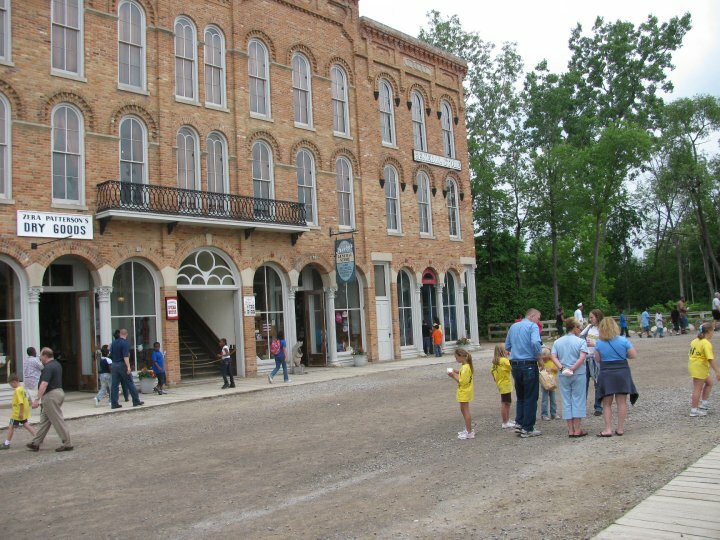 Crossroads Village is a place that is kept like it was in the 1800’s. The people who work there wear clothes of the period and act like they are living in the olden days. When Mark and I got there, we noticed that we were the only adults in the village without any kids. In fact some grown ups had 8 or 9 kids with them. I wasn’t jealous at all. The place was filled with children. Many of them were dressed in old timey clothes. This I was a bit jealous about. Most of them came on field trips from school. They all seemed to be having fun. But around 15:00 all the kids cleared out. It became a ghost town. Mark and I had the village all to ourselves, except for a couple other people. We walked around going from one demonstration to another. The villagers were very friendly and talkative. I think they were just happy to talk to an adult. 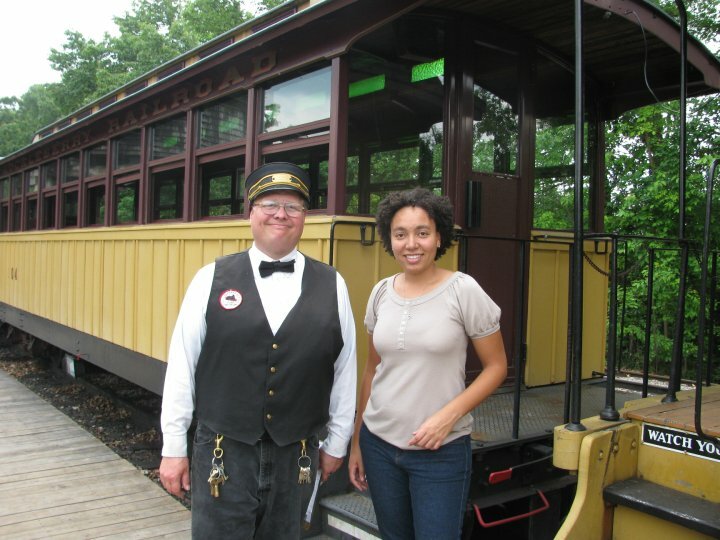 There is an old train that runs on the oldest train tracks in Michigan, a Ferris Wheel, and other rides. Follow I-475 off either I-75 or I-69 to Saginaw Street (Exit 13). then go east on Stanley Road to Bray Road. Take Bray Road south to Village entrance. 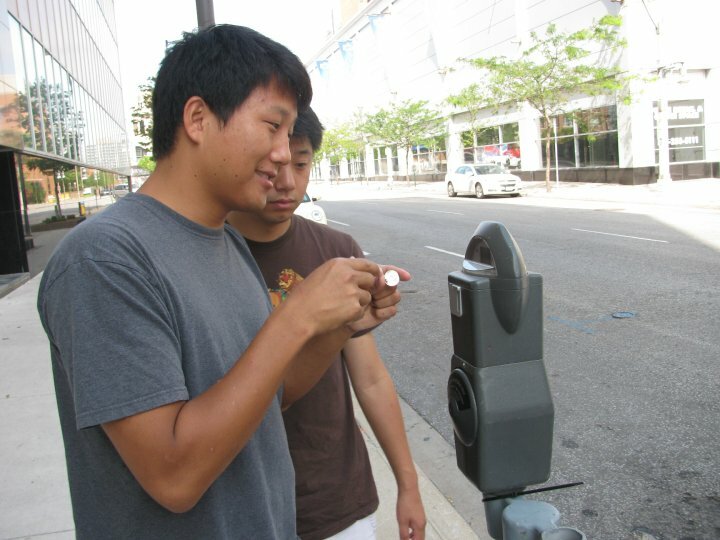 This is mainly for kids, but what else is there to do in Flint?